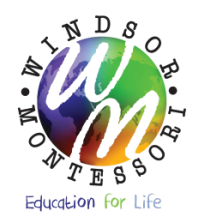 Montessori education is an educational approach developed by Italian physician and educator Maria Montessori and characterized by an emphasis on independence, freedom within limits, and respect for a child’s natural psychological, physical, and social development. Although a range of practices exists under the name "Montessori", the Association Montessori Internationale (AMI) and the American Montessori Society (AMS) cite these elements as essential. In addition, many Montessori schools design their programs with reference to Montessori’s model of human development from her published works, and use pedagogy, lessons, and materials introduced in teacher training derived from courses presented by Montessori during her lifetime. Maria Montessori began to develop her philosophy and methods in 1897, attending courses in pedagogy at the University of Rome and reading the educational theory of the previous two hundred years. In 1907, she opened her first classroom, the Casa dei Bambini, or Children’s House, in a tenement building in Rome. From the beginning, Montessori based her work on her observations of children and experimentation with the environment, materials, and lessons available to them. She frequently referred to her work as "scientific pedagogy". Montessori education spread to the United States in 1911 and became widely known in education and popular publications. However, conflict between Montessori and the American educational establishment, and especially the publication in 1914 of a critical booklet, The Montessori System Examined by influential education teacher William Heard Kilpatrick, limited the spread of her ideas, and they languished after 1914. Montessori education returned to the United States in 1960 and has since spread to thousands of schools there. Montessori continued to extend her work during her lifetime, developing a comprehensive model of psychological development from birth to age 24, as well as educational approaches for children ages 0 to 3, 3 to 6, and 6 to 12. She wrote and lectured about ages 12 to 18 and beyond, but these programs were not developed during her lifetime. 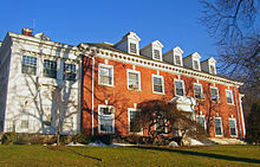 The Edward Harden Mansion in Sleepy Hollow, NY, listed on the National Register of Historic Places as the site of the first American Montessori school in 1911. Self-construction, liberty, and spontaneous activityMontessori education is fundamentally a model of human development, and an educational approach based on that model. The model has two basic elements. First, children and developing adults engage in psychological self-construction by means of interaction with their environments. Second, children, especially under the age of six, have an innate path of psychological development. Based on her observations, Montessori believed that children at liberty to choose and act freely within an environment prepared according to her model would act spontaneously for optimal development. Montessori observed four distinct periods, or "planes", in human development, extending from birth to six years, from six to twelve, from twelve to eighteen, and from eighteen to twenty-four. She saw different characteristics, learning modes, and developmental imperatives active in each of these planes, and called for educational approaches specific to each period. Absorbent mind: Montessori described the young child's behavior of effortlessly assimilating the sensorial stimuli of his or her environment, including information from the senses, language, culture, and the development of concepts with the term "absorbent mind". She believed that this is a power unique to the first plane, and that it fades as the child approached age six. Normalization: Finally, Montessori observed in children from three to six years old a psychological state she termed "normalization". Normalization arises from concentration and focus on activity which serves the child’s developmental needs, and is characterized by the ability to concentrate as well as "spontaneous discipline, continuous and happy work, social sentiments of help and sympathy for others." The second plane of development extends from around six to twelve years old. During this period, Montessori observed physical and psychological changes in children, and developed a classroom environment, lessons, and materials, to respond to these new characteristics. Physically, she observed the loss of baby teeth and the lengthening of the legs and torso at the beginning of the plane, and a period of uniform growth following. Psychologically, she observed the "herd instinct", or the tendency to work and socialize in groups, as well as the powers of reason and imagination. Developmentally, she believed the work of the second plane child is the formation of intellectual independence, of moral sense, and of social organization. The third plane of development extends from around twelve to around eighteen years of age, encompassing the period of adolescence. Montessori characterized the third plane by the physical changes of puberty and adolescence, but also psychological changes. She emphasized the psychological instability and difficulties in concentration of this age, as well as the creative tendencies and the development of "a sense of justice and a sense of personal dignity." She used the term "valorization" to describe the adolescents' drive for an externally derived evaluation of their worth. Developmentally, Montessori believed that the work of the third plane child is the construction of the adult self in society. The fourth plane of development extends from around eighteen years to around twenty-four years old. Montessori wrote comparatively little about this period and did not develop an educational program for the age. She envisioned young adults prepared by their experiences in Montessori education at the lower levels ready to fully embrace the study of culture and the sciences in order to influence and lead civilization. She believed that economic independence in the form of work for money was critical for this age, and felt that an arbitrary limit to the number of years in university level study was unnecessary, as the study of culture could go on throughout a person's life. Preventing conflicts is the work of politics; establishing peace is the work of education. She received a total of six nominations for the Nobel Peace Prize in a three-year period: 1949, 1950, and 1951.